Broadway Family Dentistry is Brooklyn’s top rated cosmetic dentistry center. 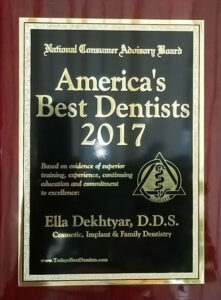 Dr. Ella Dekhtyar is a top rated, best in class cosmetic dentist in Brooklyn. She passionate about ensuring her patients receive the best and most appropriate dental care in Broadway Family Dental Center. She is one of the most highly regarded dentists in the community. Dr. Dekhytar has received multiple awards including America’s Best Dentist and New York Magazine Best Dentists. 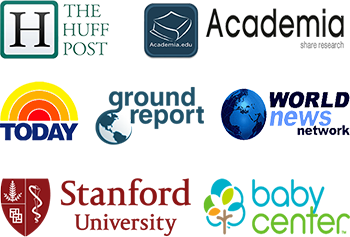 Dr. Ella Dekhtyar is an award winning expert and contributor to a prominent media outlets. She believes in providing truly personalized dental care without compromise. She is dedicated to provide the best aesthetic and functional results from cosmetic dental treatment. As a Brooklyn’s top dentist she brings a wealth of experience and skills to every patient. You’ll find top rated, expert dentists, the most up-to-date, best equipped facilities and a relaxing atmosphere at Broadway Family Dental in Brooklyn, NY. Dr. Dekhtyar is a current contributor of the latest research on topics related to cosmetic dentistry, dental implants and periodontal disease treatment. 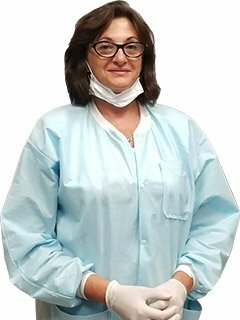 She is a top rated dentist and one of a few cosmetic dentists in Brooklyn, NY to offer the newest and most advanced dental techniques and procedures. Newest and most advanced dental implant techniques and procedures to place single tooth implants or full dental implants. Dr. Dekhtyar is a leading dental implant specialist in Brooklyn, multiple dental implants expert and one of few implant dentists in Brooklyn to offer newest and most advanced dental implants in Brooklyn. We are using cutting edge techniques for placing multiple teeth implants. Our Brooklyn dentists tailor your teeth whitening process specifically for every patient. Teeth whitening treatments reduce existing stains from coffee, soft drinks or just through natural aging. Our office uses several methods including professional strength Zoom whitening. Crowns are full coverage restorations that are used to cover a tooth that is likely to break, or is too broken down to be restored with a filling. Porcelain Veneers provide improved appearance of chipped, fractured, stained and uneven or worn teeth. They are known to be thin shells of handcrafted dental porcelain that are fitted over front teeth to repair smiles and bites. recommend bone grafts if they are actually required and there will be a very good reason why. If you have lost some of the bone in your jaw then there may be insufficient left to fully support a dental implant. It’s vital that each dental implant is surrounded by a specific amount of healthy bone, normally several millimeters. We offer 3 different versions of invisible braces: Clear trays, lingual braces, and simple wire. Invisalign – invisible way to straighten teeth without braces. Its clear, removable aligners to gradually straighten teeth, without metal or wires. Extremely comfortable and fully customizable. Root canal therapy is needed when the nerve of a tooth is affected by decay, infection or inflammation. This simple root canal treatment in Brooklyn can save your natural teeth and prevent the need of dental implants or bridges. Dr Ella Dekhtyar has been my dentist for over four years now, she is the best dentist very understanding and courteous, I feel very comfortable with her she treats her pts very well for me all the wk that she has done in my mouth I wouldn’t trade her for another dentist whatever the dental problem is she’s always very attentive and make sure the wk is properly done I would recommend her anytime. Had a pleasant experience. The office is clean, staff very friendly. Went in quickly, no crazy wait or hassle. Dr Ella was very nice and listened to my worries and didn’t just shut me up right away and start cleaning my teeth like I’ve had others do in the past. I have a recurrent cavity on my left bottom side and she did a great job filling it. I’ve had issues in the past where it was done unevenly but she did a good job, I could close my mouth and bite just fine evenly on both sides. Unfortunately, I’ll need a root canal in the future on that tooth and I’m absolutely going back here! I highly recommend!